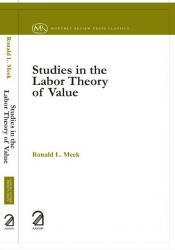 This book is one of the best surveys of the development, and explication, of the labor theory of value. In writing this book, which first appeared in 1956, Meek had two distinct objectives. His first was “to build some sort of bridge between Marxian economists and their non-Marxian colleagues so that the latter can at least be made to see what the former are trying to get at”. His second was to help his fellow Marxian economists in the task of reapplying the Marxian categories to the very different conditions which obtain a century after the publication of Das Kapital. Ronald L. Meek(1917-1978) was a Marxian economist.